Mankind, too deeply corrupted by Satan, knows not that there is a God and has stopped worshiping God. In the beginning, when Adam and Eve were created, Jehovah’s glory and Jehovah’s testimony were ever present. But after being corrupted, man lost the glory and the testimony because everyone rebelled against God and stopped revering Him altogether. Today’s conquering work is to get back all the testimony and all the glory, and to have all men worship God, so that there is testimony among the created. This is what needs to be done in this stage of work. How exactly is mankind to be conquered? It will be done by using this work of words to fully convince man; by using disclosure, judgment, chastisement, and merciless curse to thoroughly subdue him; and by disclosing man’s rebelliousness and judging his resistance so he can know mankind’s unrighteousness and filth, which will be used to highlight God’s righteous disposition. Mainly, it will be the use of these words that conquers man and fully convinces him. Words are the means to the ultimate conquering of mankind, and all who accept conquering must accept the smiting and judgment of the words. The current process of speaking is the process of conquering. How exactly should people cooperate? By eating and drinking these words effectively and understanding them. People cannot become conquered by themselves. You must, from eating and drinking these words, come to know your corruption and filth, your rebelliousness and unrighteousness, and fall down before God. If you can understand God’s will and then put it into practice and, further, have the vision, and if you can completely obey these words and not exercise any of your own choices, then you will have been conquered. And it will be these words that have conquered you. Why did mankind lose the testimony? Because no one has faith in God or holds God in his heart at all anymore. Conquering mankind means having people restore this faith. People always tend toward the world, harboring too many hopes, wanting too much for their future, and having too many extravagant demands. They are always thinking about and planning for their flesh and never interested in seeking the way of belief in God. Their hearts have been captured by Satan, they have lost their reverence for God, and they are devoting their heart to Satan. But man was created by God. Thus, man has lost the testimony, meaning he has lost the glory of God. The purpose of conquering mankind is to seize back the glory of man’s reverence for God. It can be put this way: There are many people who do not pursue life; even if there are some, the number can be counted on one’s fingers. People are most concerned about their future and are not paying any attention to life whatsoever. Some people both rebel against and resist God, judge Him behind His back and do not practice the truth. I ignore these people for now, and refrain from handling this class of sons of rebellion for now. In the future you will live in darkness, weeping and gnashing your teeth. You do not feel the preciousness of light when you are living in it, but you will be cognizant of its preciousness once you are living in the dark night. You will be sorry then. You feel fine now, but the day will come when you will be sorry. When that day comes and darkness descends and light is nevermore, your regrets will be too late. It is because you still do not understand the present work that you fail to cherish your time now. Once the work of the entire universe begins, meaning when everything I am saying today has come true, many people will be holding their heads in bitter crying. Is that not falling into the darkness with weeping and gnashing of teeth? All the people who truly pursue life and are made complete will be useable, while all the sons of rebellion who are unfit to be used will fall into the darkness, receiving no work of the Holy Spirit whatsoever and remaining unable to make sense of anything. Thus they will land in punishment to wail and weep. If you are well equipped in this phase of work and your life has matured, then you are a person fit to be used. If you are ill equipped, then even if you are tapped for the next phase of work you will be unfit. At that point, even if you want to equip yourself, the opportunity will have passed. God will have left; where would you then go to find the kind of opportunity that is before you now, and where would you then go to receive exercise that is personally provided by God? At that point, it will not be God personally speaking or giving His voice. You will only be able to read what is being said today; how would you be able to easily understand? How would the later life be able to equal today’s? At that point, will not your weeping and gnashing of teeth be suffering a living death? Blessing is being granted to you now but you do not know how to enjoy it; you are living in blessedness, yet you do not realize it. This proves that you are doomed to suffer! Presently some people resist, some rebel, some do this or that. I simply ignore you; do not think that I am unaware of those activities of yours. Do I not understand your essence? Why keep going against Me? Don’t you believe in God in order to pursue life and blessing for your own sake? Is it not for your own sake that you have faith? Right now I am just doing conquering work with My words. Once this conquering work concludes, your end will be obvious. Do I need to make Myself more clear? The current conquering work is work intended to make it obvious what man’s end will be. Why do I say that today’s chastisement and judgment are the judgment in front of the great white throne of the last days? Do you not see this? Why is the conquering work the last stage? Is it not precisely to make manifest how each class of man will end up? Is it not to allow everyone, in the course of the conquering work of chastisement and judgment, to show his true colors and then to be classified according to kind afterward? Rather than saying this is conquering mankind, it might be better to say that this is showing how each class of man will end up. That is, this is judging their sins and then showing the various classes of man, thereby deciding whether they are evil or righteous. After the conquering work comes the work of rewarding good and punishing evil: People who obey completely, meaning the thoroughly conquered, will be placed in the next step of spreading the work to the entire universe; the unconquered will be placed in darkness and will meet with calamity. Thus, man will be classified according to kind, the evildoers grouped with evil, never again to see the sunlight, and the righteous grouped with good, to receive light and live forever in the light. The end is near for all things, man’s end has been clearly shown to his eyes, and all things will be classified according to kind. How then can people escape suffering this classifying? The revealing of the end for each class of man is done when the end is near for all things, and it is done during the work of conquering the entire universe (including all the conquering work starting with the current work). This revealing of the end of all mankind is done before the seat of judgment, in the course of the chastisement, and in the course of the conquering work of the last days. Classifying people according to kind is not returning people to their original classes. This is because when man was made at the creation of the world, there was only one kind of human, namely male and female. There were not many different kinds. It is only after several thousand years of corruption that different classes of humans have emerged, some coming under the domain of filthy devils, some under the domain of evil devils, and some, who pursue the way of life, under the dominion of the Almighty. Only in this way do classes gradually come into being among people and do people separate into classes within the large family of man. 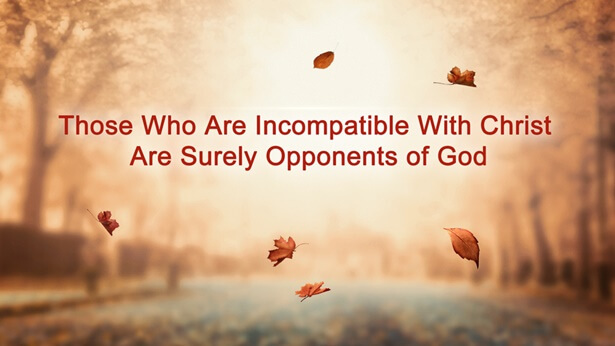 People all come to have different “fathers”; it is not the case that everyone is completely under the dominion of the Almighty, because people’s rebelliousness is too much. The righteous judgment discloses the true self of each type of person, leaving nothing hidden. Everyone shows his true face in the light. At this point, man is no longer the way he was originally and his ancestors’ original likeness has long vanished, because countless descendants of Adam and Eve have long been captured by Satan, never again to know the heavensun, and because people have been filled with all manner of Satan’s poisons. Thus, people have their appropriate destinations. Moreover, it is on the basis of their differing poisons that they are classified according to kind, meaning they are sorted by the extent to which they are conquered today. Man’s end is not something that has been predestined since the creation of the world. That is because in the beginning there was only one class, which was collectively called “mankind,” and man was not corrupted by Satan at first, and they all lived in God’s light, with no darkness befalling them. But after man was corrupted by Satan, all types and kinds of people spread out all over the earth—all types and kinds of people who came from the family collectively named “mankind” that was made up of male and female. They were all led by their ancestors to stray from their oldest ancestors—the mankind which consisted of male and female (that is, the original Adam and Eve, their oldest ancestors). At the time, the only people being led by Jehovah to live on earth were the Israelites. The various types of people who emerged from the whole of Israel (meaning from the original family clan) then lost Jehovah’s leadership. These early peoples, completely ignorant of the matters of the human world, then went along with their ancestors to live in the territories they claimed, all the way up to today. Thus, they are still in the dark about how they strayed from Jehovah and how they have been corrupted to this day by all kinds of filthy devils and evil spirits. Those who have been the most deeply corrupted and poisoned up to now, namely those who ultimately cannot be rescued, will have no choice but to go with their ancestors—the filthy devils who corrupted them. Those who can ultimately be rescued will go to mankind’s appropriate destination, meaning to the end reserved for the saved and conquered. Everything will be done to save all those who can be saved, but for those insensitive, incurable people, their only choice will be to follow their ancestors into the bottomless pit of chastisement. Do not think that your end was predestined in the beginning and has only now been revealed. If you think that way, then have you forgotten that during the initial creation of mankind, no separate Satanic class was created? Have you forgotten that only one mankind made up of Adam and Eve was created (meaning only male and female were created)? If you had been Satan’s descendant in the beginning, would that not mean that when Jehovah created man He included a Satanic group? Could He have done something like that? He created man for the sake of His testimony; He created man for the sake of His glory. Why would He have intentionally created a class of Satan’s posterity to deliberately resist Him? Could Jehovah have done this? If yes, who would be able to say that He is a righteous God? When I say now that some of you will go with Satan in the end, it does not mean you were with Satan from the beginning; rather, it means you have sunk so low that even if God has tried to save you, you have still failed to gain that salvation. There is no choice but to classify you with Satan. This is only because you are unrescuable, not because God is unrighteous to you, meaning not because God intentionally fixed your fate as an embodiment of Satan and then classifies you with Satan and purposely wants you to suffer. That is not the inside truth of the conquering work. If that is what you believe, then your understanding is very one-sided! The final stage of conquering is meant to save people and also to reveal people’s endings. It is to disclose people’s degeneration through judgment and thereby get them to repent, rise up, and pursue life and the right path of human life. It is to wake up the hearts of the numb and obtuse people and to show, through judgment, their inner rebelliousness. 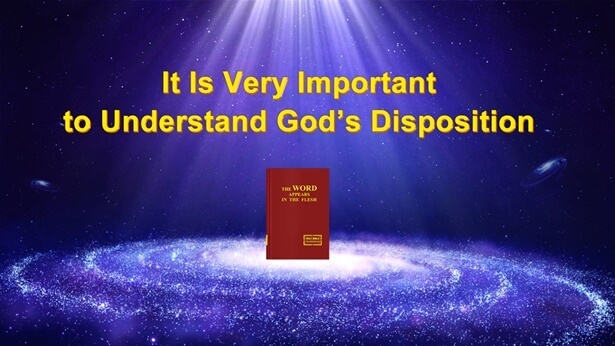 However, if people are still unable to repent, still unable to pursue the right path of human life and unable to cast off these corruptions, then they will become unrescuable objects for Satan to swallow up. This is the significance of conquering—to save people and also to show their endings. Good endings, bad endings—they are all revealed by the conquering work. Whether people will be saved or cursed is all revealed during the conquering work. The last days are when all things will be classified according to kind through conquering. Conquering is the work of the last days; in other words, judging each person’s sins is the work of the last days. Otherwise, how could people be classified? The classifying work being done among you is the start of such work in the entire universe. After this, people of all nationalities everywhere will also be subjected to the conquering work. This means every person in creation will be classified according to kind, coming before the seat of judgment to be judged. No person and no thing can escape suffering this chastisement and judgment, and no person and no thing can skirt this classifying by kind; everyone will be sorted into classes. That is because the end is near for all things and all the heavens and earth arrive at their conclusion. How can man escape the end of his existence? Thus, how much longer can you continue your acts of disobedience? Do you not see that your last days are imminent? How can those who revere God and long for Him to appear not see the day of God’s righteous appearance? How can they not receive the final reward for goodness? Are you one who does good, or one who does evil? Are you one who accepts righteous judgment and then obeys, or then is cursed? Have you been living in light before the seat of judgment, or in darkness in the underworld? Are you yourself not the one who knows most clearly whether your end will be one of reward or one of punishment? Are you not the one who knows most clearly and understands most deeply that God is righteous? So, truly, how is your conduct and what kind of heart do you have? As I go about conquering you today, do you really need Me to spell out for you whether your behavior is that of evil or that of good? How much have you given up for Me? How deeply do you worship Me? You yourself know most clearly how you are toward Me—is that not true? You should know better than anyone how you will ultimately end up! Truly I am telling you, I only created mankind, and I created you, but I did not hand you to Satan; neither did I intentionally make you rebel against or resist Me and therefore be punished by Me. Have you not earned these calamities because your hearts have been overly hard and your conduct overly despicable? So is it not true that you can determine your own end? Is it not true that you know in your hearts, better than anyone, how you will end up? The reason I am conquering people is to reveal them, and also to better ensure your salvation. It is not to have you do evil or to deliberately have you walk into the hell of destruction. When the time comes, all your great suffering, your weeping and gnashing of teeth—will not all of that be because of your sins? Thus, is not your own goodness or your own evil the best judgment of you? Is it not the best proof of what your end will be? Right now I am using the work on these people in China to reveal all their rebellious disposition and unmask all their ugliness. This is the background for saying everything I need to say. Afterward I will do the next step of work of conquering the entire universe. I will use My judgment of you to judge the unrighteousness of everyone in the entire universe because you people are the representatives of the rebellious among mankind. Those who cannot step up will become merely foils and serving objects, whereas those who can will be put to use. Why do I say that those who cannot step up will only serve as foils? Because My present words and work all target your background and because you have become the representatives and the epitome of the rebellious among all of mankind. Later I will take these words that conquer you to foreign countries and use them to conquer the people there, yet you will not have gained them. Would that not make you a foil? Corrupt dispositions of all mankind, rebellious acts of man, the ugly images and faces of man, are all recorded today in the words used to conquer you. I will then use these words to conquer the people of every nation and every denomination because you are the model, the precedent. However, I did not set out to intentionally abandon you; if you fail to do well in your pursuit and therefore you prove to be incurable, would you not simply be a serving object and a foil? I once said that My wisdom is exercised based on Satan’s schemes. Why did I say that? Is that not the truth behind what I am saying and doing right now? If you cannot step up, if you are not perfected but rather are punished, would you not become a foil? Maybe you have suffered a good deal in your time, but you now still understand nothing; you are ignorant of everything about life. Even though you have been chastised and judged, you have not changed at all and deep within you have not gained life. When it comes time to test your work, you will experience a trial as fierce as fire and even greater tribulation. This fire will turn the whole being of you into ashes. As someone who does not possess life, someone without an ounce of pure gold inside, someone still stuck with the old corrupt disposition, and someone who cannot even do a good job at being a foil, how can you not be eliminated? What use does conquering work have for someone who is worth less than a penny and who does not have life? When that time comes, your days will be harder than Noah’s and Sodom’s! Your prayers will do you no good then. Once the salvation work has ended, how can you start over to repent? Once all the salvation work has been done, there will be no more salvation work. What there will be is the start of the work of punishing the evil. You resist, you rebel, and you do things that you know are evil. Are you not the target of severe punishment? I am spelling this out for you today. If you choose not to listen, when disaster befalls you later, will it not be too late if you only then start to feel regret and start to believe? I am giving you a chance to repent today, but you are unwilling to. How long do you want to wait? Until the day of chastisement? I do not remember your past transgressions today; I forgive you again and again, turning away from your negative side to look only at your positive side, because all My present words and work are meant to save you and I have no ill intention toward you. Yet you refuse to enter; you cannot tell good from bad and do not know how to appreciate kindness. Is not this kind of person simply bent on waiting for that punishment and that righteous retribution? When Moses struck the rock, and the water bestowed by Jehovah sprang forth, it was because of his faith. When David played the lyre in praise of Me, Jehovah—with his heart filled with joy—it was because of his faith. When Job lost his livestock that filled the mountains and untold masses of wealth, and his body became covered in sore boils, it was because of his faith. When he could hear the voice of Me, Jehovah, and see the glory of Me, Jehovah, it was because of his faith. That Peter could follow Jesus Christ, it was by his faith. That he could be nailed to the cross for My sake and give glorious testimony, it was also by his faith. When John saw the glorious image of the Son of man, it was by his faith. When he saw the vision of the last days, it was all the more by his faith. The reason why the so-called multitudes of the Gentile nations have obtained My revelation, and came to know that I have returned in the flesh to do My work among man, it is also because of their faith. All those who are smitten by My harsh words and yet are solaced by them, and who are saved—have they not done so because of their faith? People have received a lot of things through faith. What they receive is not always blessing—to feel the kind of happiness and joy that David felt, or to have water bestowed by Jehovah as Moses did. For example, in the case of Job, he received Jehovah’s blessing as well as a scourge through faith. Whether you receive a blessing or suffer a scourge, both are blessed events. Without faith, you would not be able to receive this conquering work, much less see Jehovah’s deeds displayed before your eyes today. You would not be able to see, and even less would you be able to receive. These scourges, these calamities, and all the judgments—if these did not befall you, would you be able to see Jehovah’s deeds today? Today it is faith that allows you to be conquered, and being conquered that allows you to believe Jehovah’s every deed. It is only because of faith that you receive this kind of chastisement and judgment. Through these chastisements and judgments, you are conquered and perfected. Without the kind of chastisement and judgment you are receiving today, your faith would be in vain, because you do not know God; no matter how much you believe in Him, your faith will still be but an empty expression ungrounded in reality. It is only after you receive this kind of conquering work which makes you completely obedient that your faith becomes true and reliable and your heart turns toward God. Even if you are judged or cursed a good deal because of this word “faith,” you have true faith, and you receive the most true, most real, and most precious thing. This is because it is only in the course of judgment that you see the final destination of God’s creations; it is in this judgment that you see that the Creator is to be loved; it is in such conquering work that you see God’s arm; it is in this conquering that you come to fully understand human life; it is in this conquering that you gain the right path of human life and come to understand the true meaning of “man”; it is only in this conquering that you see the righteous disposition of the Almighty and His beautiful, glorious countenance; it is in this conquering work that you learn of man’s origin and understand all mankind’s “immortal history”; it is in this conquering that you come to comprehend mankind’s ancestors and the origin of mankind’s corruption; it is in this conquering that you receive joy and comfort as well as endless chastening, discipline, and words of reprimand from the Creator to the mankind He created; in this conquering work you receive blessings, and you receive the calamities that man should receive…. Is not all of this due to that little bit of faith of yours? After gaining these things has not your faith grown? Have you not gained a tremendous amount? Not only have you heard God’s word and seen God’s wisdom, but you also have personally experienced each step of the work. Maybe you would say that if you did not have faith, then you would not suffer this kind of chastisement or this kind of judgment. But you should know that without faith, not only would you be unable to receive this kind of chastisement or this kind of care from the Almighty, but you would forever lose the opportunity to see the Creator. You would never know the origin of mankind and never comprehend the significance of human life. Even if your body dies and your soul departs, you still would not understand all the Creator’s deeds. Even less would you know that the Creator did such great work on earth after He made mankind. As a member of this mankind that He made, are you willing to fall uncomprehendingly like this into darkness and suffer eternal punishment? If you separate yourself from today’s chastisement and judgment, what is it that you will meet with? Do you think that once separated from the present judgment, you will be able to escape from this difficult life? Is it not true that if you leave “this place,” what you will encounter is painful torment or cruel injuries inflicted by the devil? Might you encounter unendurable days and nights? Do you think that just because you escape this judgment today, you can forever evade that future torture? What will it be that comes your way? Can it really be the Shangri-La that you hope for? Do you think you can escape that later eternal chastisement simply by running away from reality the way you are doing? After today, will you ever be able to find this kind of opportunity and this kind of blessing again? Will you be able to find them when disaster befalls you? Will you be able to find them when all of mankind enter into rest? Your present happy life and the harmonious little family of yours—can they substitute for your future eternal destination? If you have true faith, and if you gain a great deal because of your faith, then all of that is what you—a created being—should gain and also what you should have had. This kind of conquering is the most beneficial to your faith and the most beneficial to your life. At present you need to understand what God is asking of those being conquered, what His attitude is toward those being perfected, and what you should be entering immediately. Some things you only need to understand a little. Some discourses on mysteries you need not bother figuring out. They are not much help to life, and it is enough to take a look at them. For example, mysteries such as those about Adam and Eve you need to have a look. What Adam and Eve were all about back then and what work God wants to do today—these you need to know about. [a] You need to understand that in conquering and perfecting man, God is wanting to return man to the way Adam and Eve were. How perfected one must be to meet God’s standard—you should have a good sense of that and want to reach hard for it. That is about your practice and is something you should understand. You just need to seek to enter according to words about these matters. When you read that “the history of mankind’s development goes back tens of thousands of years,” you get curious, and so you try to figure it out with the brothers and sisters. “God says mankind’s development goes back six thousand years, right? What is this about tens of thousands of years?” Of what use is trying to figure this out? Whether God Himself has been working for tens of thousands of years or hundreds of millions of years—does He need you to figure this out? This is not something that you as a created being need to know about. You can just take a look at this kind of talk; don’t try to understand it like a vision. What you do need to know about is what you should be entering and gaining clarity on right now. Ponder over and be clear about these. Only then will you get to be conquered. After reading the above, you may have a normal reaction: God is burning with anxiety. He wants to conquer us and gain glory and testimony. How should we cooperate with Him? What must we do to be completely conquered by Him and become His testimony? What must we do to enable God to gain glory? What must we do to allow ourselves to live under God’s dominion and not under Satan’s domain? This is what people should be thinking about. Every one of you should be clear on the significance of conquering. That is your responsibility. Only after gaining this clarity will you have entry, will you know this stage of work, and will you become completely obedient. Otherwise, you will not achieve true obedience.